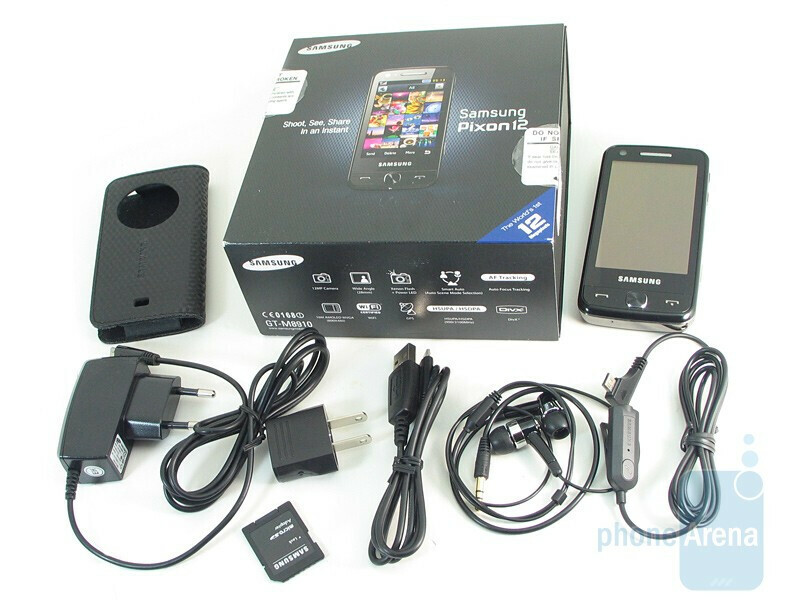 About a year ago, Samsung introduced the world to one gadget that aimed its attention on photography - the Samsung Pixon. In the digital camera industry, the race to see who can out do the other in trying to pack as many megapixels into their casings seems to be a trend. Although the digital camera revolutionized the way we take and view photos, the mobile phone industry is about to embark on a similar quest. 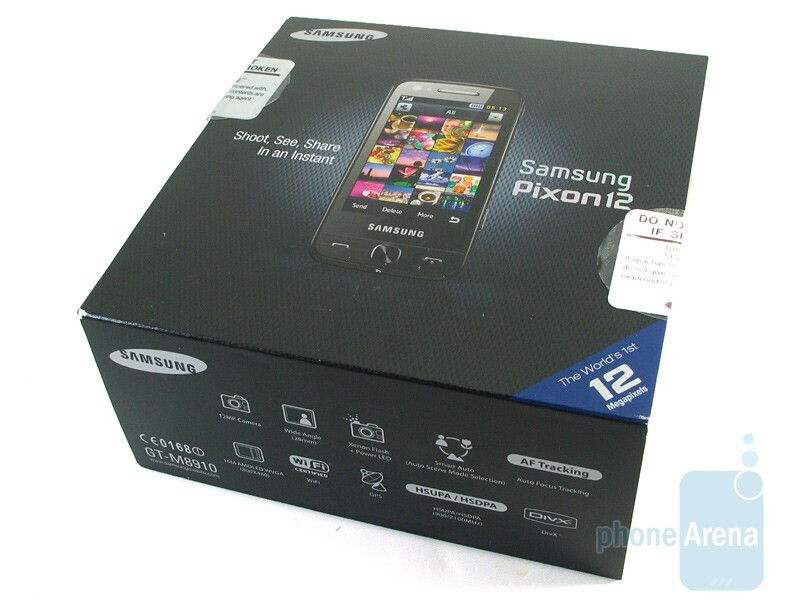 Roughly one year later, the spotlight is set on the Samsung Pixon12 M8910 to become a true all-in-one gadget. 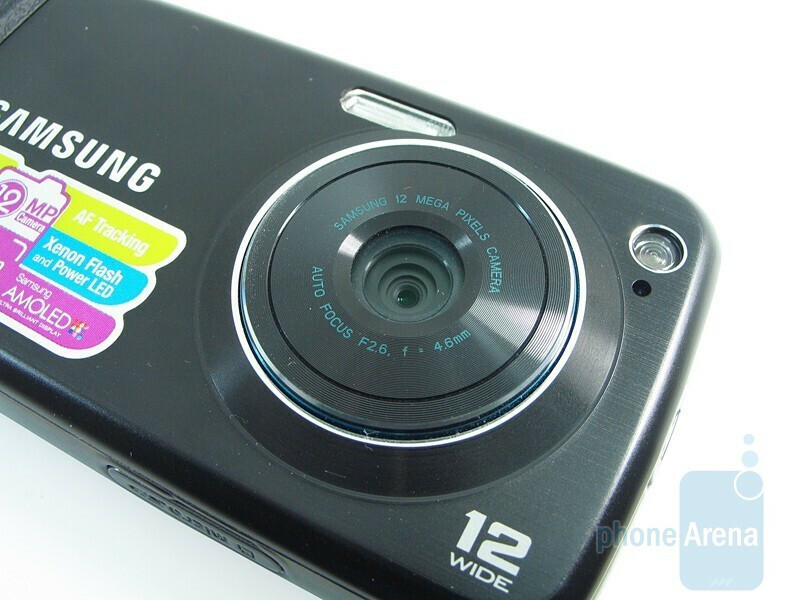 Its 12-megapixel camera might be way more than what most people can swallow, but let's hope that it can penetrate the market and take off the stigma of poor image quality from camera phones. Fittingly enough, the design remains true to the original – except that it's a tiny bit slimmer (2.09” wide). 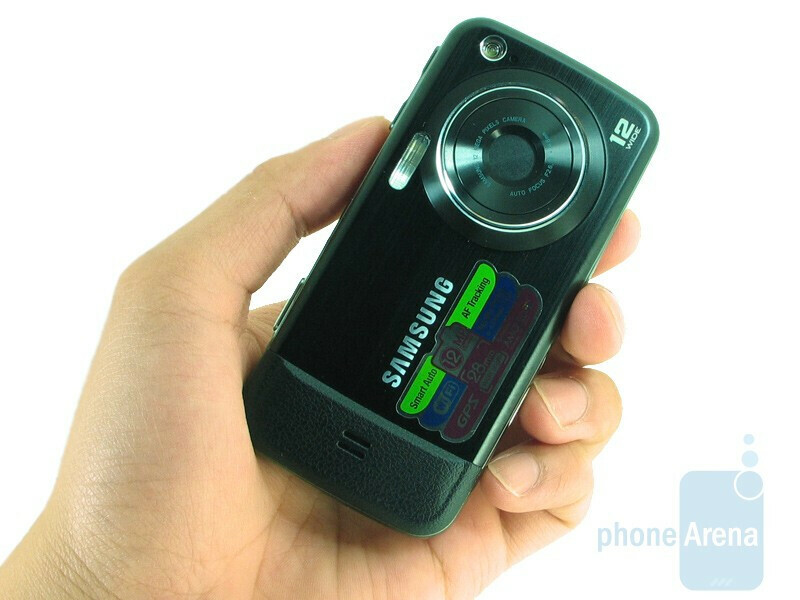 At the same time, you can see some of the design elements used to make this phone imitate the standard point and shoot digital camera. 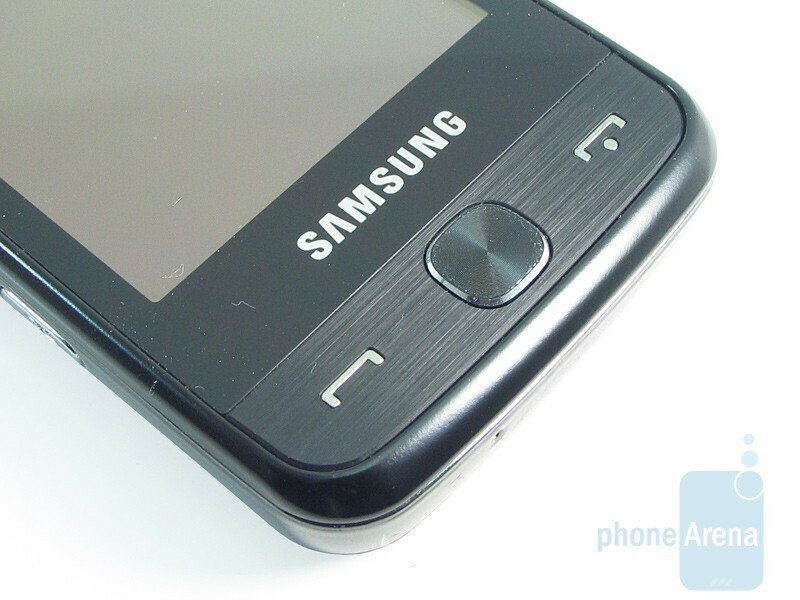 The jet black plastic used for the front mixes well with the chrome border going around the phone. When you flip it over, the milled aluminum back cover and faux leather lip exemplifies its guise. 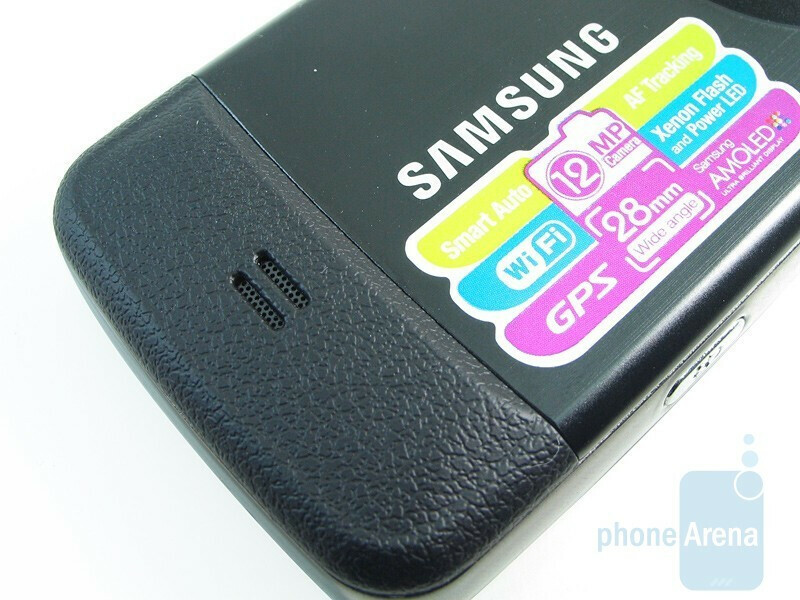 We're glad to see that the Samsung Pixon12 M8910 is lighter (4.04 oz) than its predecessor (4.27 oz) and at the same time gives it a balanced weight. The quality of the materials used and overall construction is top notch – we suspect a lot of time and love went into designing this beauty. You can compare the Samsung Pixon12 M8910 with many other phones using our Size Visualization Tool. Surprisingly enough, one of the few specs that was reduced on this handset from the original is the screen size. Nonetheless, the 3.1” resistive AMOLED touch screen doesn't cease to amaze us thanks to its brilliance and deep colors. Its bump in resolution to 480 x 800 pixels with 16 million colors truly makes it a sight to behold – just like what we witnessed with the Samsung Jet. Although that plastic feel is noticeable as you touch the resistive screen, we found ourselves accurately touching specific locations without any mis-presses. Dark rooms will instantly glow whenever you turn it on. Conversely, attempting to view the screen outdoors in direct sunlight posed some problems – you'll have to shield it to get a decent view. 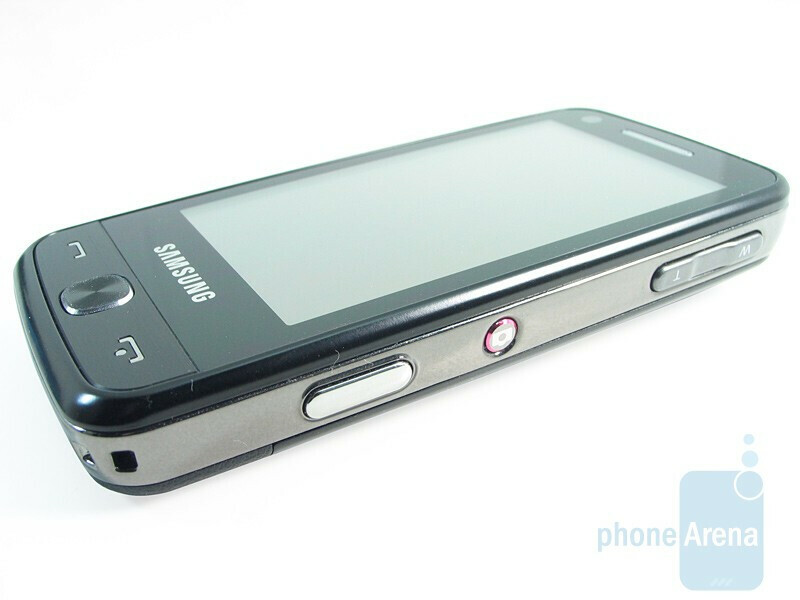 The layout of the buttons on the Samsung Pixon12 M8910 doesn't deviate from what we've seen in the past. You'll find the milled aluminum send and end buttons on the front with the back key placed squarely in the middle – all well sized with good feedback when pressed. 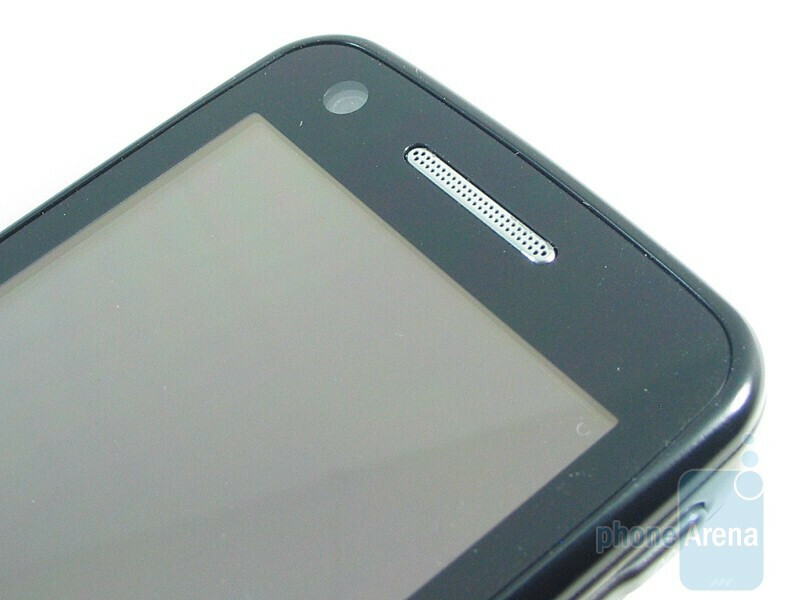 There's a front facing camera also found near the speaker on the front. 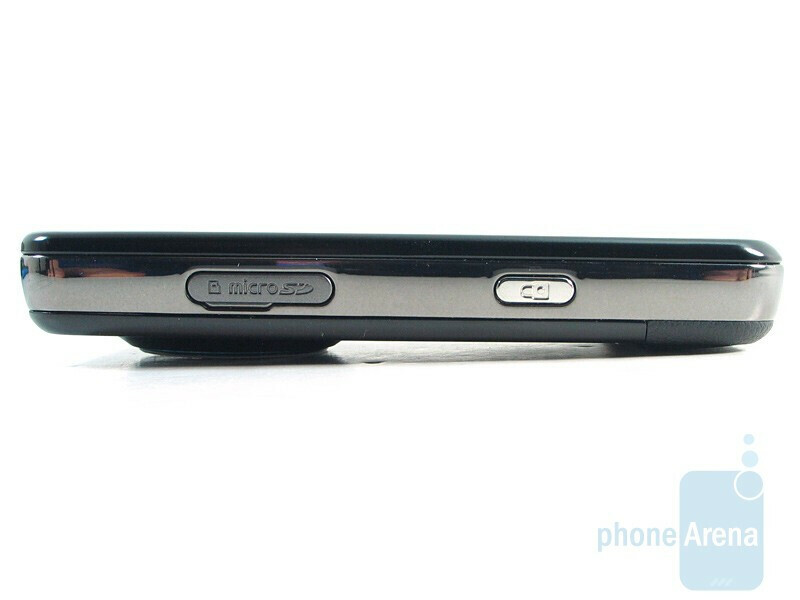 The lock button and microSD card slot are found on the left. 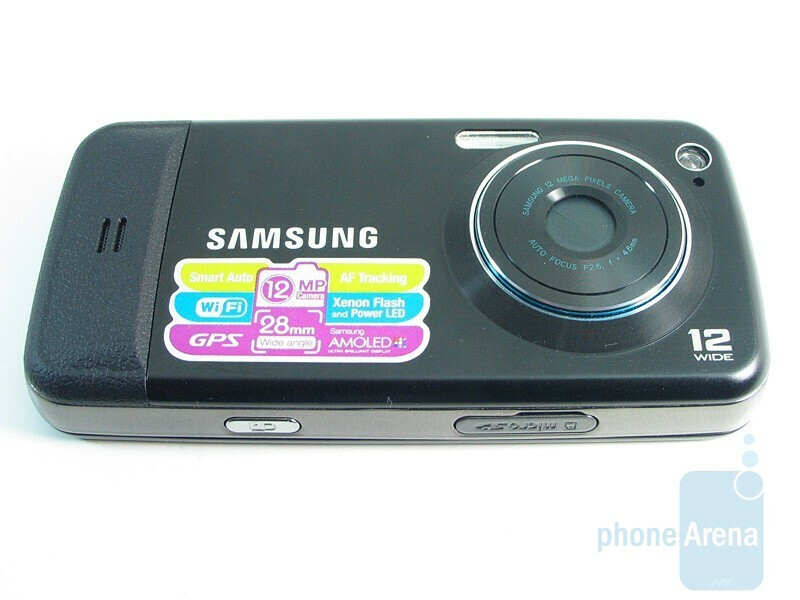 Most of the camera's functions are located on the right edge of the phone where the shutter, camera, and digital zoom (also used for the volume control) buttons are found. Just like what you find on a point and shoot, there are two levels to the shutter key – slightly pressing once to auto-focus and pushing it down all the way to take a shot. 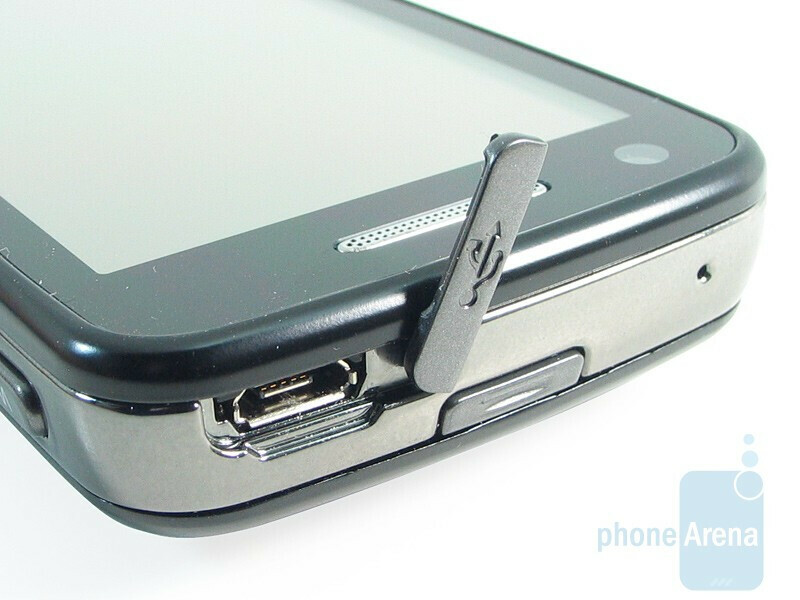 Tucked away at the corner bottom is a spot to attach a lanyard so you'll always know your phone is tethered to you. 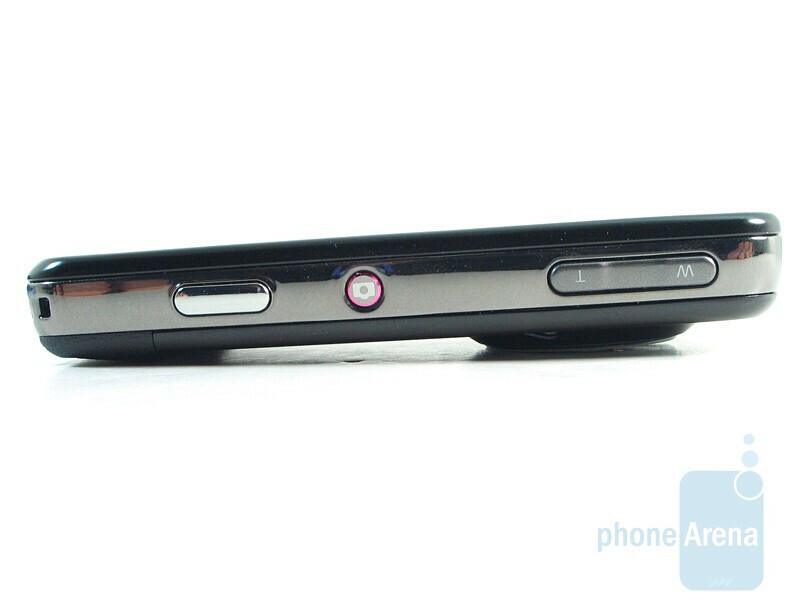 On the top side is the much needed USB port to charge the phone and the latch to remove the back cover. 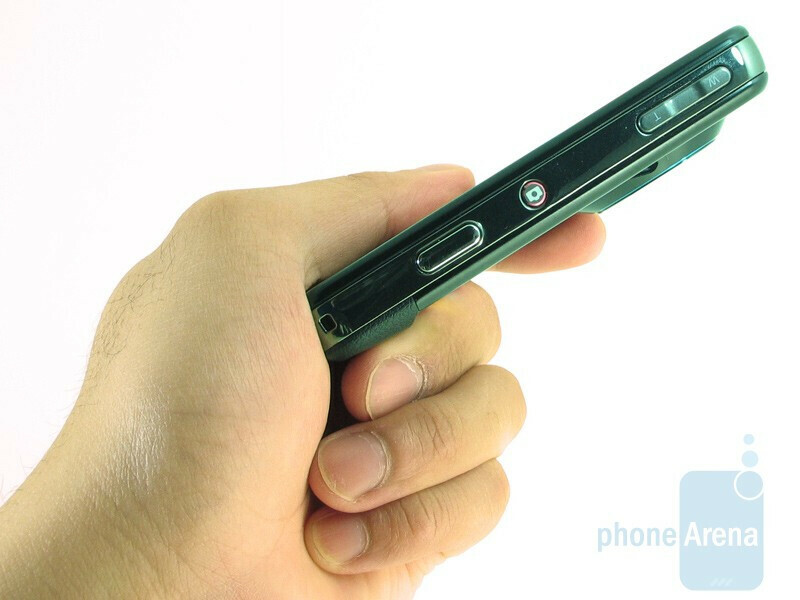 Flipping the phone onto its back will make you realize how much it emulates the look of a regular camera. The speaker phone is hidden under the faux leather lip while the xenon and LED flashes are found next to the obvious circular shape hiding the lens. 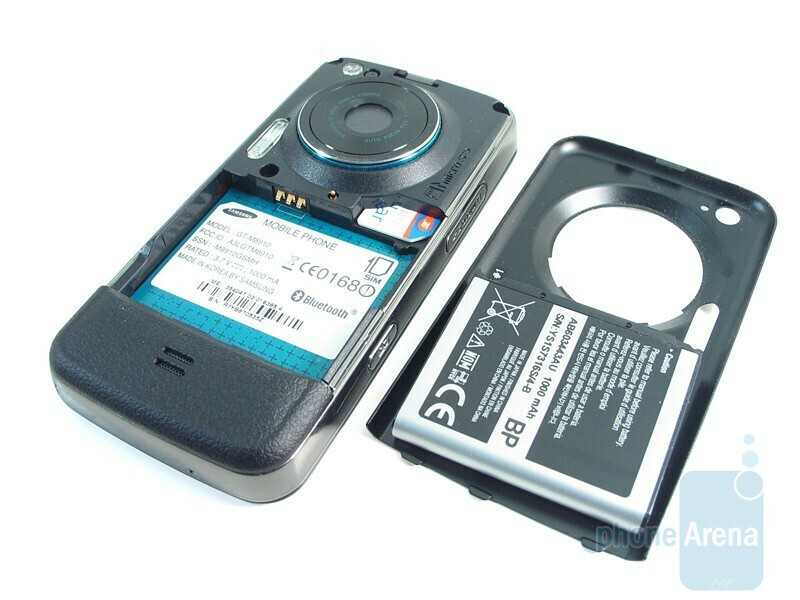 When the rear cover is removed, it exposes the battery (1000 mAh) and SIM card slot. Much much better then my Nokia N86 8MP. With the Pixon 12 and teh SOnyEricsson Satio we have now e rals replacement for digital kameras! will it run apps fromhttp://www.lonelycatgames.com ??? I'm about 18 months into a 24 month contract with this phone and i'm desperately getting the money together to buy out my contract. Its quite simply the worst phone i've ever used. The camera is incredible and blows my digital camera out of the water but everything else about this phone is poor at best, apart from the looks that is, i still think its a very nice looking phone. DNS Error. 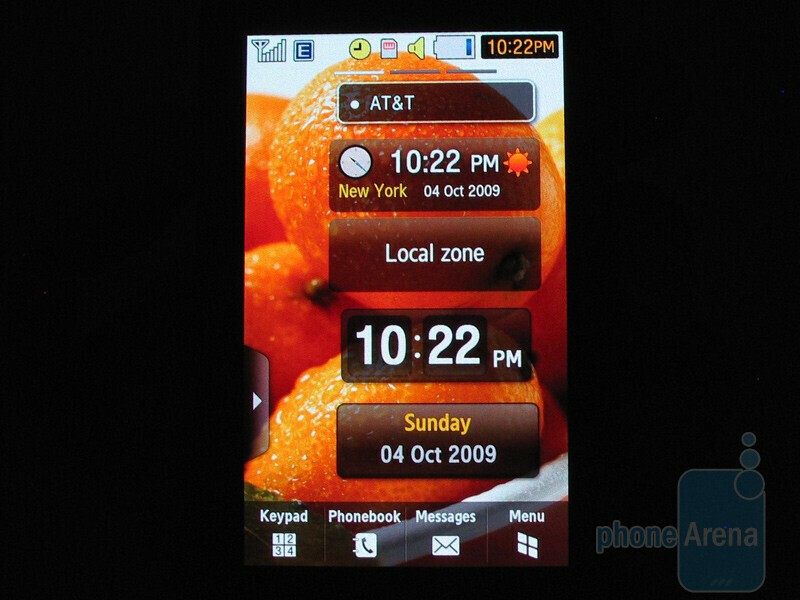 Everyone who owns this phone will see that a hell of a lot. 18 months with this phone has ensured i'll never buy a Samsung again!